MahjongTime.com will be sponsoring and hosting the first Open French Mahjong Championship (OFMC - Online 2008) on June 7 and 8, 2008. Online registration for this exciting event, one of six national tournaments sponsored by Mahjong Time and sanctioned by the European Mahjong Association (EMA), will begin in late March or early April. The format for the OFMC - Online 2008 will be inline with those of other online championship tournaments hosted by Mahjong Time. Participants in the OFMC - Online 2008 can earn MORSE ranking points that will be added to the individual’s European Online Ranking. 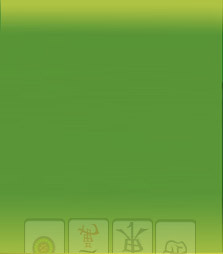 The winner of the OFMC - Online 2008 will receive a handsome gold-plated collectible Mahjong tile. The uniquely designed tile will afford the winner various special privileges at MahjongTime.com. Through competitions such as the OFMC - Online 2008, Open Hungarian Mahjong Championship and the World Series of Mahjong online qualifying tournaments, MahjongTime.com continues to be a leader in the wide world of mahjong, offering members unlimited gaming opportunities. When the registration tables are ready to open, members will be alerted via an email. Keep your eyes on your inbox, you won’t want to miss this competition.